Paranthas are majorly famous for North Indian's breakfast option, and when it comes to paranthas; Delhiites cannot miss even a chance. These are a stuffed type Indian flatbread, which mostly served with Aam ka Aachar and Pudhina chutney. 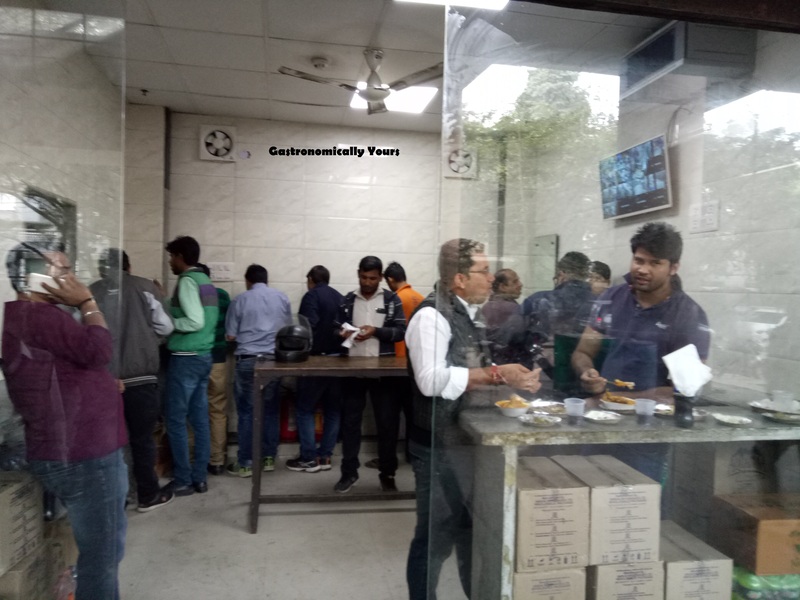 One can find at least one famous parantha eateries at every corner of the city, Our team have been to some of the Parantha shops, and these are Laxman Da Dhaba near Indian Institute of Foreign Trade and Parantha Wali Gali which located at Old Delhi. We will share our experience about another Parantha Joint, i.e. Moolchand Parantha and this is situated at the left-hand side of the Moolchand metro station(Violet Line), South Delhi & they are selling the most delicious and different variants of paranthas. 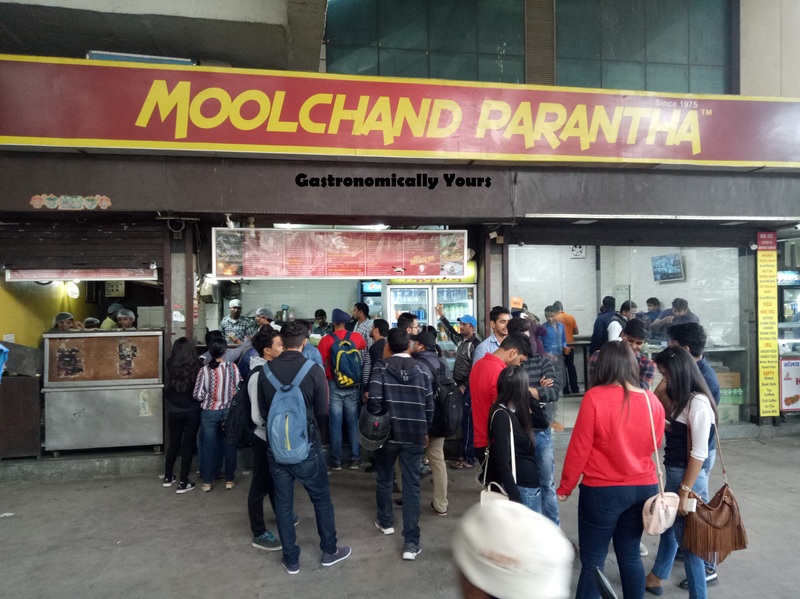 Moolchand Paranthe Wale is a very famous and old shop, and they are running this parantha joint for more than 50 years, Their target customers are majorly youth and they visit this place to enjoy every single bite of paranthas. When we asked an old man who is a very regular customer, he told us "I live near Lajpat Nagar since 90s, and I have noticed many times this place bustling with people even at midnight." Now the question arises, is this famous for its location ?or the late hours? Why people visit Moolchand Paranthe Wala frequently? The answer to the above question is the quality of these tasty paranthas that has remained same. These are very crisp, despite the extreme stuffing and served hot with the pudhina chutney, achar, chopped onions and butter. 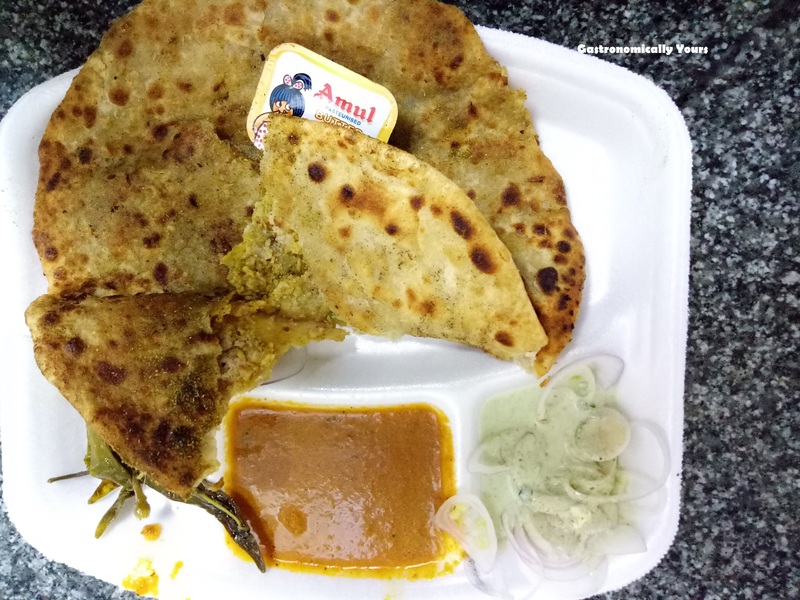 The place doesn't have seating arrangements, barring limited tables for parantha lovers who can stand and enjoy these delicious paranthas, and also a lot of customers opt for takeaway. The wide range of paranthas which includes mixed vegetable parantha(Rs.45), aloo parantha(Rs.35), aloo pyaaz parantha(Rs.45). Don't miss out their non-vegetarian items- chicken parantha(Rs.100), keema parantha(Rs.100), chicken egg parantha (Rs.120) and egg parantha(Rs.45), all of which served with a special gravy. Along with the paranthas, one can also try various thalis, and there are some main course options too. Must try the mouthwatering desserts- Kullhar Wali Kheer(Rs.60), Ras Malai(Rs.60), Gulab Jamun (Rs.40), Tilla Kulfi(Rs.60) and in winters they have Gajar ka Halwa(Rs.60) as well as try their exclusive flavoured lassi like custard apple(Rs.60), rose(Rs.60) and black-currant(Rs.60). 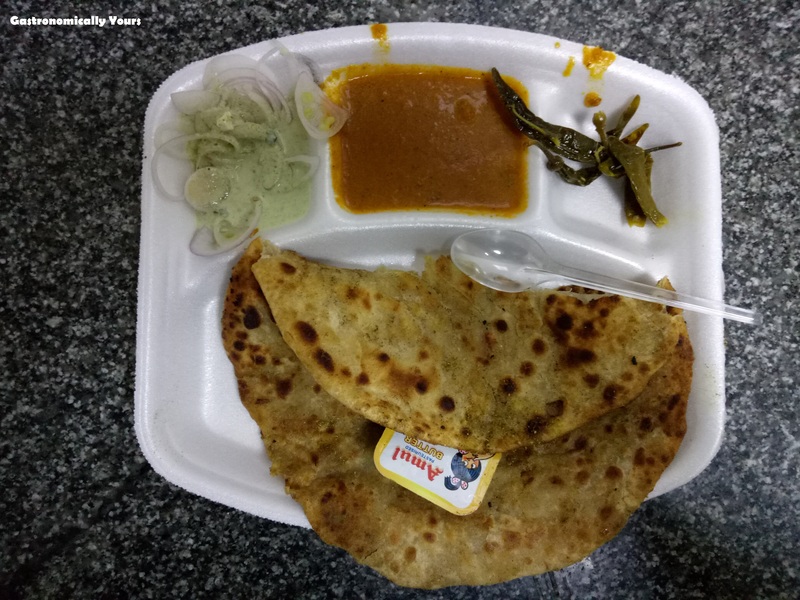 Overall this is a pocket-friendly restaurant, the price of paranthas ranges from Rs.35 to Rs.120 and their service is quick.